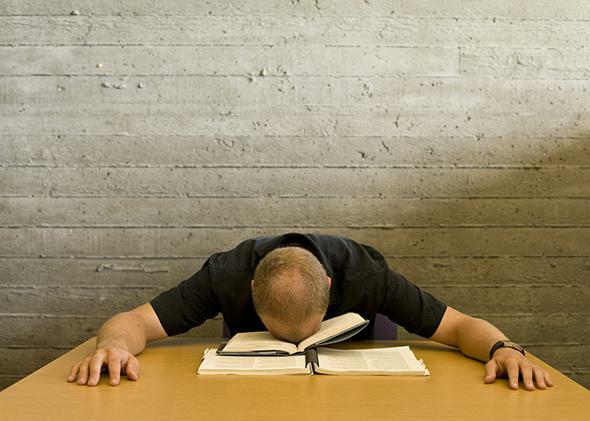 ABDs, All But Dissertation, Ph.D. candidates who can’t quite finish. What’s worse than getting a Ph.D. in today’s job market? Not finishing one. Even you, dear reader, might not be able to finish a dissertation. Eventually, I figured it out: ABD stands for “all but dissertation,” a description of a student who has finished coursework and passed comprehensive exams, but has yet to complete and defend the doctoral thesis. Today, the Ph.D. Completion Project estimates that the ten-year completion rate (that is, someone’s status a decade after they begin) is 55–64 percent in STEM, 56 percent in the social sciences, and 49 percent in the humanities. Not all Ph.D. dropouts advance to the dissertation stage before they leave—but since the project’s charts start leveling out around Year 8 (the dissertation begins in Year 3 or 4), it’s safe to assume a hell of a lot do. Only in the parallel universe of academia is it possible to log years of Herculean scholarship, write and defend a complex dissertation proposal, and – upon failing to complete one’s dissertation – come away with nothing to show but the humiliation of not being recognized by the academic industrial complex for one’s blood, sweat and uncompensated toil. Many programs do disown their dropouts, refusing to write letters of recommendation and often cutting off all contact. But the anger, disappointment, and betrayal Yesko expresses here reveal far more about the lasting emotional damage that leaving graduate school can cause. It is, in fact, especially wrenching to students who never envisioned a life outside of academia (and, often having gone directly from college to graduate school, have never lived one). In recent years, many, many online resources have sprung up to offer academic cast-asides the support they otherwise lack. Speaking of which: Reaction on IHE to Yesko’s piece—and her solution, to offer a new kind of degree between an M.A. and a doctorate—was a snide pile-on. “Can we make sure that the Certificate of Doctoral Completion also comes with a little plastic trophy and a large green ribbon signaling excellent participation?” sniped one commenter. Added another: “These degrees aren’t soccer trophies for young childrens [sic] whose spirit might get crushed. Terminal ABD has a meaning: Failure.” And you, dear reader, may also feel, right this second, as if those who leave Ph.D. programs simply couldn’t hack it. Maybe they couldn’t. But that’s nothing to be ashamed of. Dissertations—some 250 pages of original research in the humanities, and topping 400 in the social sciences—are objectively, indisputably difficult. It sometimes takes years just to collect data or comb through the necessary archives, and then the damn thing must be written, often in total isolation. Dissertations are not impossible, but they are very hard, and most people in the world—including, perhaps, you, my friend—cannot complete one. There are innumerable reasons for this, and I know them all, because when I quit academia, I started working for a company that “coaches” dissertators who are blocked, stalled, or simply in need of some practical guidance. Thus, I happen to have firsthand knowledge of the countless obstacles put in the way of ABDs—by outside forces, and by themselves—because it is my job to. First, the outside hindrances: Some advisers are helpful and supportive. But many run the gamut between absentee, excoriating, and micromanagerial. There are the advisers who retire, leave, or even die. Then there’s the total lack of preparedness for such an extensive and rigorous project: A seminar paper is a 5K fun run; a dissertation is an ultramarathon. And in the social sciences and STEM fields, there are data sets or experiments that simply fall apart. Then there are the inner hindrances, the ones that cause procrastination, and then shame, and then paralysis. Here’s my favorite: believing, erroneously, that one must read and master every single word of existing scholarship before even beginning to write. Here’s my least favorite (which happens to my clients all the time): refusing to turn in any chapter that isn’t perfect, and thus not turning in anything at all—which results in the adviser getting irate, which puts even more pressure on the student to be even more perfect, ad infinitum. This is how dissertations are stalled, often forever. So what can be done to fix this? The Izzy Mandelbaums of academia may argue the system is fine the way it is: In a field that requires extended independent work to succeed, the trial by fire of the dissertation is an apt initiation. (“All aboard the pain train!”) But does it have to be this way? I see no reason why, for example, more dissertation advisers couldn’t be enthusiastic about seeing early drafts, to provide guidance and support. Some already do this (mine did), but far too many of my clients say their advisers won’t even look at anything that isn’t “polished.” Every adviser who says this is part of the problem. Another step in the right direction would be not just to hold dissertation workshops, but also to make them mandatory. A lot of grad students are simply too paralyzed (or ashamed to admit they don’t know what they’re doing) to attend one of their own volition. A mandatory workshop frees them to get the help they need, without having to admit they need help. And, most importantly, though I’m not sold on Yesko’s idea for an in-between degree, Ph.D. programs need to stop disowning the students who do not graduate. Whatever inconvenience a jilted adviser suffers from an ABD is nothing compared with the ABD’s fractured life and career. The least an adviser can do is write a letter. And, finally, along with the current drive to require programs to publicize their real (i.e., full-time) job placement rates, so should they be compelled to list attrition. Finally, here’s what ABDs can do to help themselves. Dare to stop reading and start writing, and revel in an early draft that is an unabashed hot mess. Realize that the greatest misconception of dissertation writers is that the project must be perfect. In fact, for a career academic, the dissertation should actually be the worst thing you ever write. Sure, the best way to avoid the psychic wounds of not completing the dissertation is to squeeze that bad boy out any way you can. But we must also remember that students leave Ph.D. programs for innumerable reasons, usually complex combinations of things in and out of their control. Terminal ABDs will work for much of their lives to overcome what is at best a sense of lingering incompleteness, and at worst lasting anguish and damage. But it is the academic establishment’s treatment of those who fail initiation—disowning, shame, refusal to reveal attrition—that is one of its dirtiest secrets.